If you’ve ever been called for jury duty, you probably know that it can sometimes be pretty inconvenient. This might be especially true if you live in a state where your employer is not required to pay you for the time you’re at jury duty. That’s most of them, in case you’re wondering. The temptation to slack off and not pay attention can be pretty strong, especially if the case isn’t very interesting (and that’s the case with the vast majority of them). However, whenever you’re on a jury, and you begin to think of letting yourself fall asleep in your chair, or making a few quick updates to Facebook or Twitter, you should remember this: anybody, including you, could be on trial one day. Would you want a jury made up of people who take their jobs as jurors seriously? I know I would. The list of things that you shouldn’t do as a juror is seemingly endless. And it seems like it’s every day that a juror does something that nobody would even have thought to warn against, because it should simply go without saying. Case in point: a juror in Connecticut came very close to causing a mistrial in a murder case, and getting herself into serious legal trouble, when she tried to slip a note to the court’s bailiff, asking him on a date. Now, this might seem relatively harmless. It’s not as if this juror was communicating with the defendant, or anything. But, there are plenty of things wrong with this. 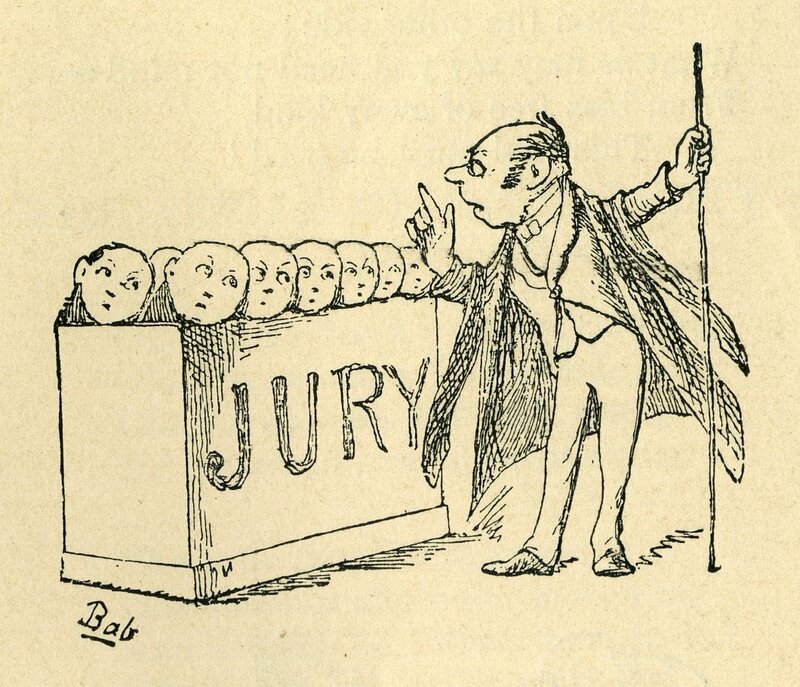 It’s really easy to come up with a list of flaws that appear to be inherent in the jury system. One of these flaws is that jurors, being ordinary people who probably don’t really want to be on a jury in the first place, might be easily corruptible. This may or may not be true, but it’s a common perception. So, to minimize even the appearance of impropriety, courts have very strict rules restricting contact between jurors, and everyone else involved in the case they’re deciding. Basically, jurors are not allowed to have ANY contact with the judge, lawyers, and parties involved in their case. Even if the contact is an innocent conversation about the weather, an outside observer who sees the conversation, without context, might assume that something improper is going on, which undermines public confidence in the jury system. The amorous juror got a very stern lecture from the judge (along the lines of “I didn’t tell you not to do this because it should have gone without saying”), and the judge very seriously considered declaring a mistrial. In the end, however, the juror was allowed to remain on the panel, and the trial went forward. The bailiff was transferred to another courtroom, and the judge ultimately concluded that the juror’s impartiality in the case was not impacted. Still, the juror showed spectacularly, monumentally, nightmarishly poor judgment. One could argue that the juror should have simply been removed and replaced with an alternate juror, to eliminate this as an issue for appeal. But I’m not going to second-guess the court’s decision here. Oh, and you might also have heard about the story a few months ago, where a juror posted on Facebook that she was going to enjoy convicting the defendant…before the trial had concluded. Obviously, this was a problem. This juror ended up getting kicked off the panel, and, last I heard, was defending herself against a contempt charge, carrying hefty fines and a short jail sentence. I should note that the vast majority of jurors, even if they don’t want to be there, take their responsibility seriously, and perform their duties competently. But why are we always hearing about stories about jurors who clearly don’t care about their responsibilities? I believe it’s due to an inherent contradiction in our jury system. In our criminal justice system, jurors are arguably the most important people in the case, and they’re constantly lectured on the essential function they’re performing. However, in most states, the court system does not treat them as if they’re very important. In the vast majority of states, employers are not required to pay their employees even a fraction of their normal wage when they’re on jury duty. And the “compensation” that the state provides jurors is a pittance – usually in the area of $15-$20 per day – barely enough to buy lunch and cover transport costs, if that. While every state strictly bars employers for firing or otherwise punishing their employees for serving on juries, the fact that most of them don’t provide for any significant compensation can make jury service extremely burdensome, especially for workers who are paid by the hour. Think about it: if you’re a juror, and are constantly being told that you’re the most important part of the criminal justice system, yet that same system can’t be bothered to provide you with any meaningful compensation for your time, they’re sending the message that the criminal justice system must not be all that important. 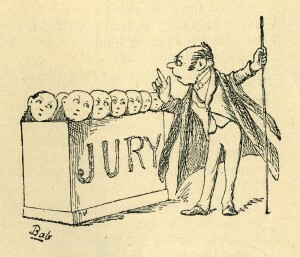 Perhaps one solution to incompetent or apathetic jurors is to make jury duty less burdensome on them, and back up all the talk about jurors being the most important part of a trial. This wouldn’t be terribly difficult. A huge step in this direction would be to pay jurors at least minimum wage for their time. Obviously, this would cost a lot more than the pittance that jurors currently receive, so maybe part of it could be covered by their employers, with the other part covered by the state. Jury duty will always involve some measure of inconvenience. That doesn’t mean that jury duty isn’t essential to the functioning of our judicial system, as it’s currently structured. Perhaps, rather than piously lecturing jurors on the importance of their role, and expecting them to take that on faith, we should show them that we understand the importance of their work by actually providing them with meaningful compensation for the work they do. The comment about jurors “letting” themselves fall asleep is based on the faulty assumption that everyone can control this. Some people have disorders that cause them to be drowsy when sitting immobile for long periods of time, or take medication that causes them to be drowsy and have trouble staying awake. I was just summoned for jury duty and I would like to serve, but I am worried that my tendency to fall asleep in the afternoon if I am not active will be a problem. Please don’t assume that all jurors who nod off are simply not taking their responsibilities seriously. Involuntarily falling asleep during the day is a great source of embarrassment suffered by many. Although in theory, a person on jury duty is protected against discrimination and punishment at the work place for serving on jury duty, it takes a back seat if you have to arbitrate the matter. It is one of the rare times I have seen a Federal Statute trumped by Arbitration.